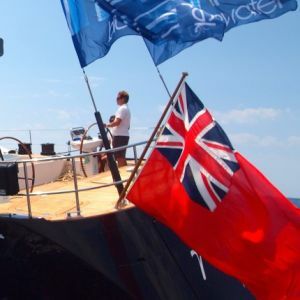 Nefertiti is an award winning luxurious racing yacht having placed 1st in both 2014 and 2013 Swan Caribbean Challenge Trophy regattas at the RORC Caribbean 600. 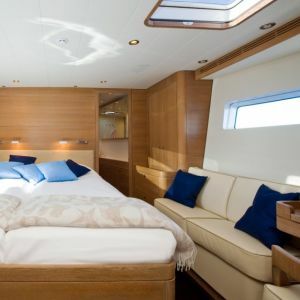 She races on both the Mediterranean and Caribbean circuits, is fully commercial and available to charter. 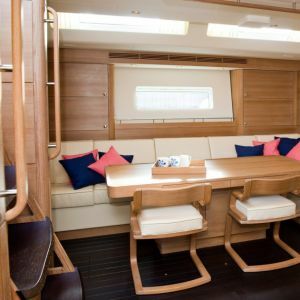 With state of the art A/V, a beautifully light and natural interior and the benefit of genuinely flush decks, she needs to be seen first-hand and this is the perfect opportunity to view this stunning racer/cruiser. To arrange a viewing or for more information on this stunning yacht, please contact Jim Acher.